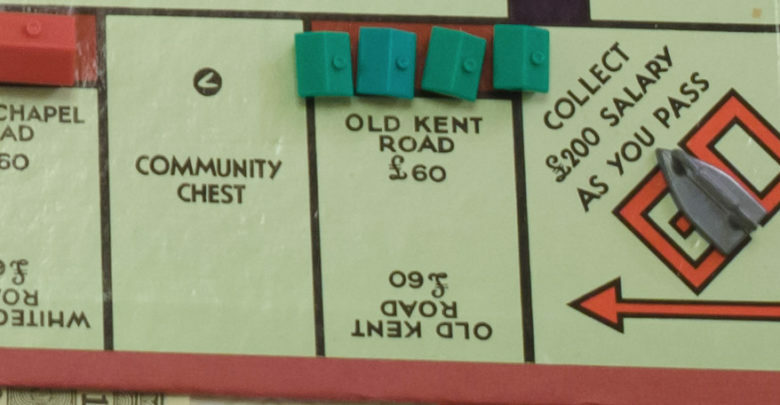 The Old Kent Road may be the cheapest property on an original Monopoly board, but I have a strong feeling that is 10 years’ time it should shake off its lowly born tag (stolen from the song Where Do You Go To My Lovely?). Because, quite simply, by 2029 it should (note I do not say ‘will’) have two tube stations established along its route. What a difference that would make. In 1999, a good friend was involved in buying a two-bedroom apartment (flat sounds so common, don’t you think?) very close to Canada Water station. The station was being built on the still-to-be-opened Jubilee line. The apartment was bought for £144,000. Seventeen years later it sold for £600,000. So, if you are looking for a slow-burning property investment, consider buying down the Old Kent Road. It may take a fair while for your investment to produce a return, but I am confident it will be profitable in the long term. Indeed, were I younger, I would consider establishing an estate agents there. Of course, that assumes that estate agents will still exist in their current form 10 years down the line. Given the impact of the Internet on anything and everything, maybe that’s not a safe assumption. Purple Bricks and all that. The Old Kent Road is a little less than three miles long. So, even if the stations were right next to each other in the middle (pointless, I know) the furthest away you would be is one-and-a-half miles. Of course, that isn’t the plan. Current thinking is that the stations will be close to Dunton Road and Asylum Road. For those vaguely familiar with the area, Dunton Road used to have the Dun Cow* pub on the corner – it is now a surgery (sob); Asylum Road is closer to New Cross, opposite the now defunct gas works. 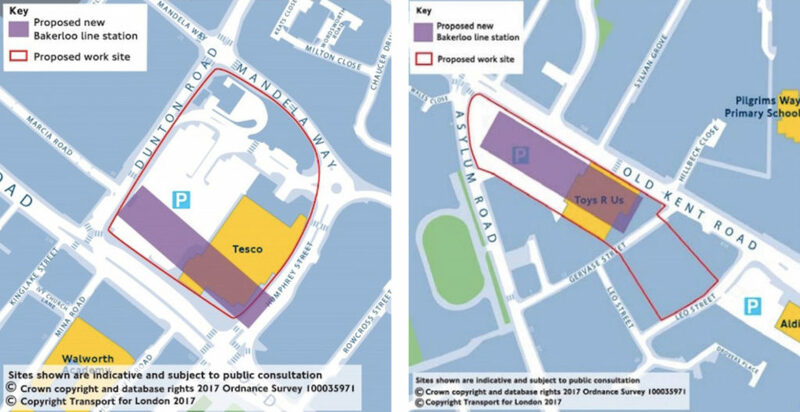 The land currently earmarked had a large Toys’R’Us and big car park on it. On the subject of the gas works, were you aware that Southwark Council snapped up the site a few years back for £15 million? There are at least two ways of reacting to this old news. One is to question whether Southwark has mis-used its position to acquire the site. The council might have been aware that several years hence it will be worth a lot more because it will be practically on top of a tube station. Another reaction is to praise the council for buying a site that should sell for a premium. This might allow the council to keep its future rate demands in better check. Were I a Southwark ratepayer I would take the latter view and not spend a lot of time agonising about the former. And, spiffballing around here, who is to say that the gas works (which is an area covering about two football pitches) couldn’t form the site for the new underground station? Nice new station with a few shops alongside or above and an apartment block or two. Sounds like a good use of the old gas works to me. I’m wasted here, this property development lark is a doddle! A word of caution. These locations are not set in stone. Please don’t buy without carrying out your own research. Though should you wait until the locations are definite, the price of property in the immediate areas is likely to rise on the back of a concrete announcement. And the World Turned Upside Down has had its world turned upside down to become a pizza place. Also, there is a flyover where the Old Kent Road meets the New Kent Road. 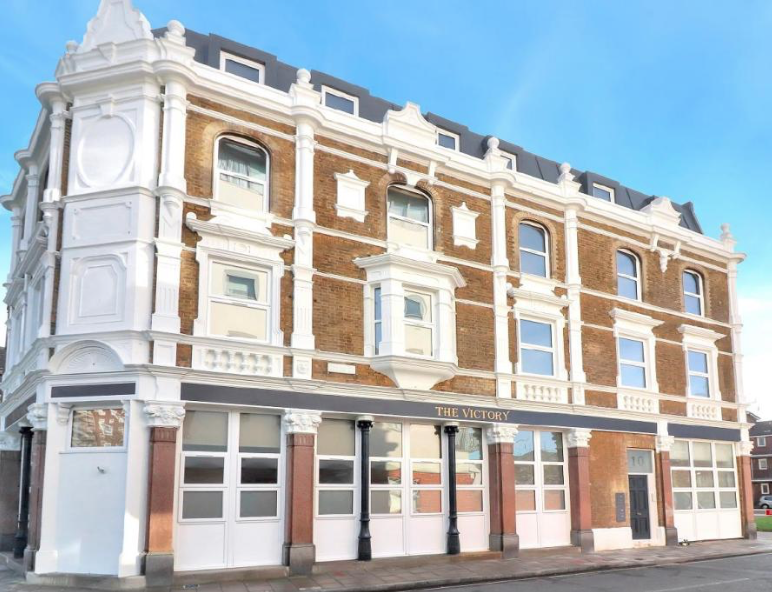 The area used to be called the Bricklayer’s Arms. The Arms pub has long since disappeared … I think to make way for the roundabout that sits under the flyover. If the subject of pubs closing depresses you as much as it does me I refer you to a website called southwarknotes.wordpress.com/local-development-sites/lost-pubs-of-southwark-3/ which lists more than 50 establishments that no long exist as pubs in its “Southwark and a bit of Waterloo” section. It lists many more in surrounding areas, sadly. However, if my strong hunch about the future prosperity of the Old Kent Road proves correct, I expect that a few more pubs will spring up to slightly reverse the depressing (for me) trend. I think we can all drink to that!